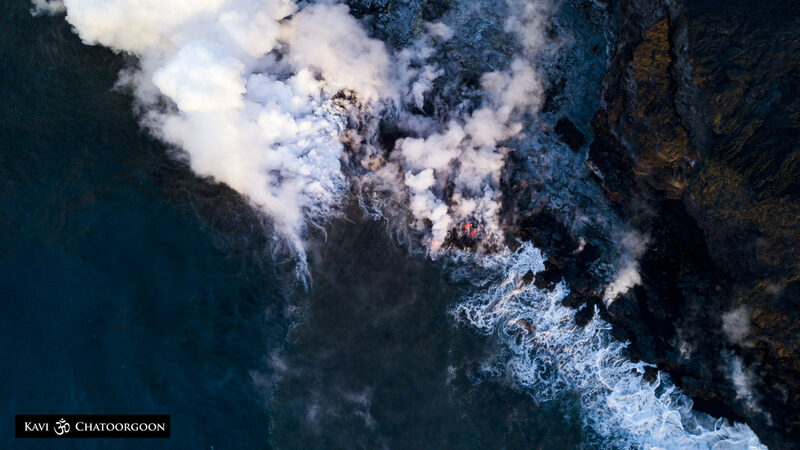 This is a shot looking down on the shoreline, where the molten hot lava enters the ocean. It's a picture of contrasts: the smoothness of the water vs. to the textures of the rock. And at the boundary between the two... fire and steam. I'm so glad I got to see this phenomenon before it stopped recently.